My love for big band jazz began when I was about 12 years old. At this time it was Glen Miller and Ted Heath but soon moved to Duke Ellington and Count Basie. Ellington is my most loved both his compositions and band. Jazz at Newport is a brilliant Cd of a concert in the 50s with the audience dancing in the aisles, a novelty in those days and Cootie Williams ending with some exciting ultra-high notes albeit bum ones. 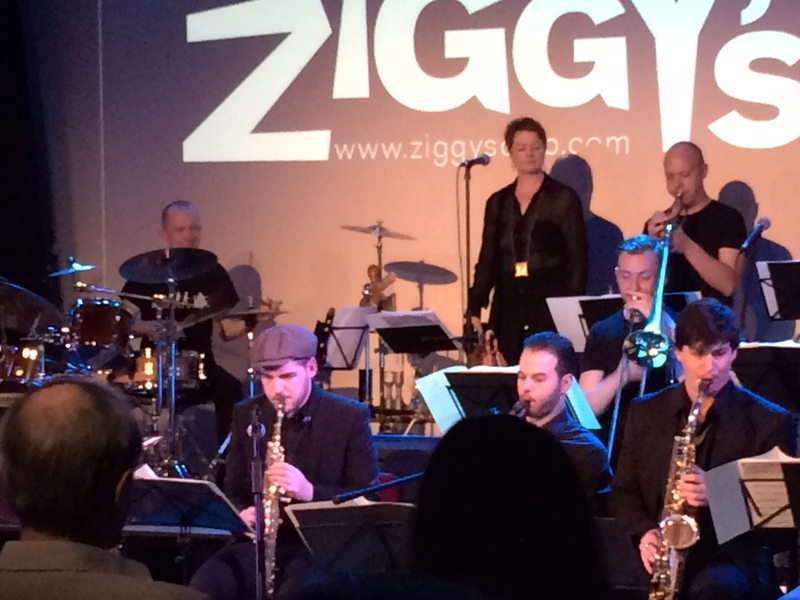 the audience was calmed with Jeeps Blues featuring Johnny Hodges and is one of my favourite tracks. I have also always loved to listen to drums, marching bands, jazz, Indian tabla, Japanese, Peruvian, Darbuka any. 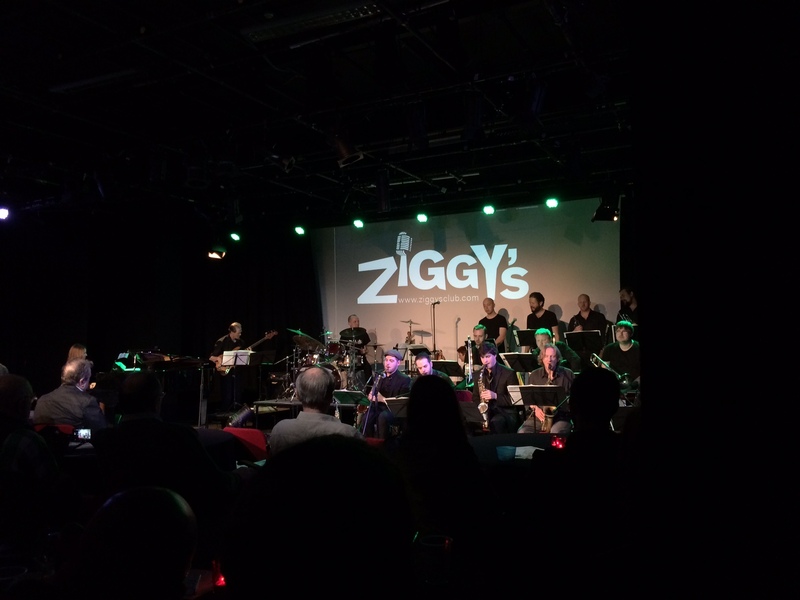 So last night in Ziggy’s Jazz Club at the Dugdale Theatre, Enfield think of my joy. Steve Taylor’s 15 piece jazz band with singer Josie Frater AND as Steve is the boss, his drumming was featured, wonderful long, inventive and satisfying drum solos. Unlike Buddy Rich he has no aversion to beards so I was allowed in but Steve is up there with the greats. All this in Enfield; world class jazz and drums. Steve Taylor’s big band. Josie centre at back and Steve with his formidable drum kit. Previous Post House for Sale Deux Sevres. Next Post CAN YOU SMELL THE GARLIC?